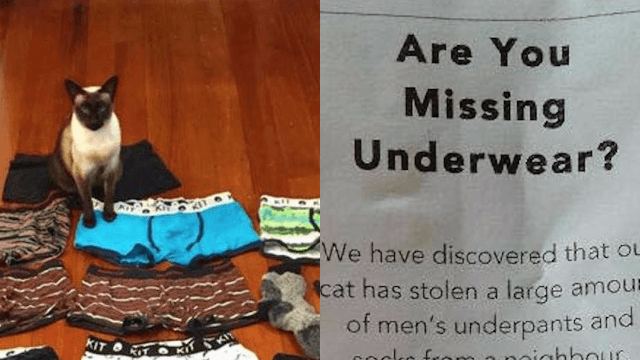 Woman's underwear-stealing cat leads to one of the most amusingly awkward personal ads ever. 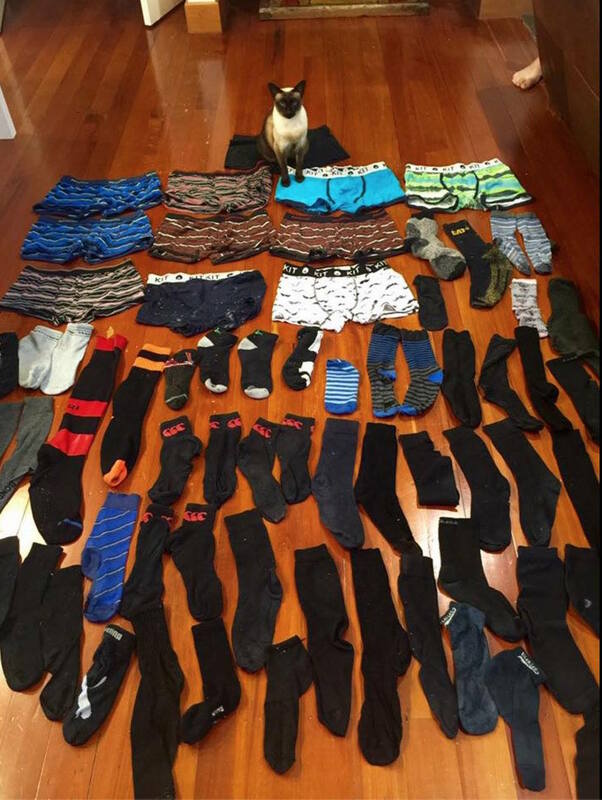 A woman named Sarah in Hamilton, New Zealand, had to place an unusual and potentially embarrassing newspaper ad after she cleaned her home to prepare for a move—and discovered that her Siamese cat was a burglar with a penchant for men's underwear and socks. 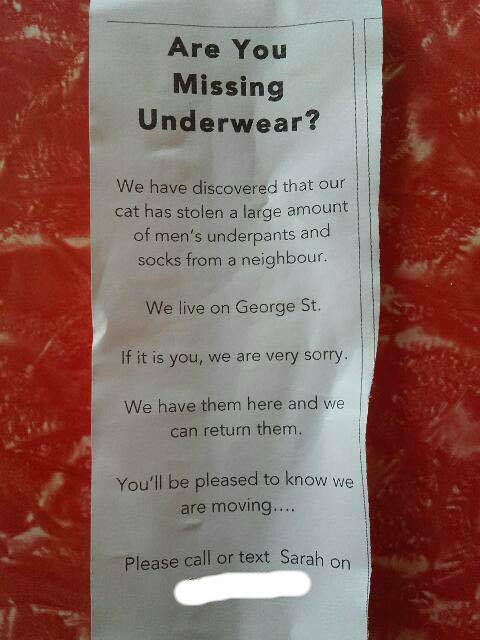 Specifically, from a man (or men) who lived somewhere in the area who might be wondering where all their underwear and socks were going (although, let's face it—the guy probably gave a maximum of two minutes' thought to this). Related: Golfer thinks fox is totally adorable until it steals his wallet.